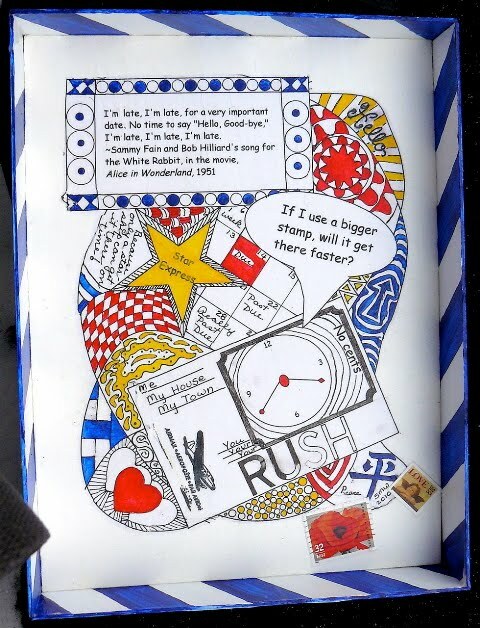 "Here's a zentangle out-box I made for a charity raffle. It's especially for procrastinators, who have trouble finding the must-do-next thing on their desk." 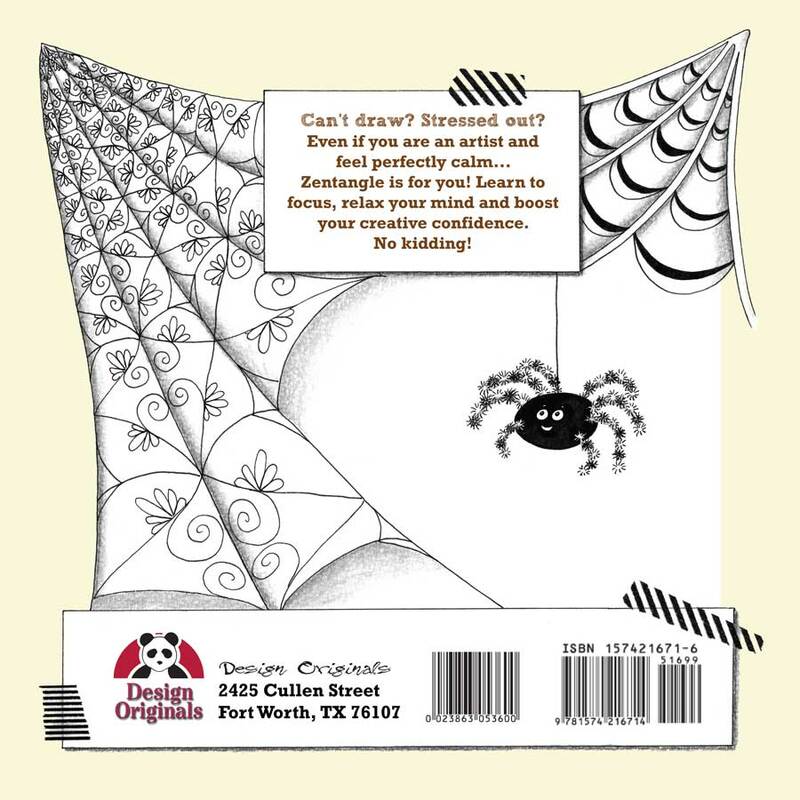 Perfect for Spring organizing AND taxes - there's always a way to sneak in some Zentangle creativity! Thanks Sharon. 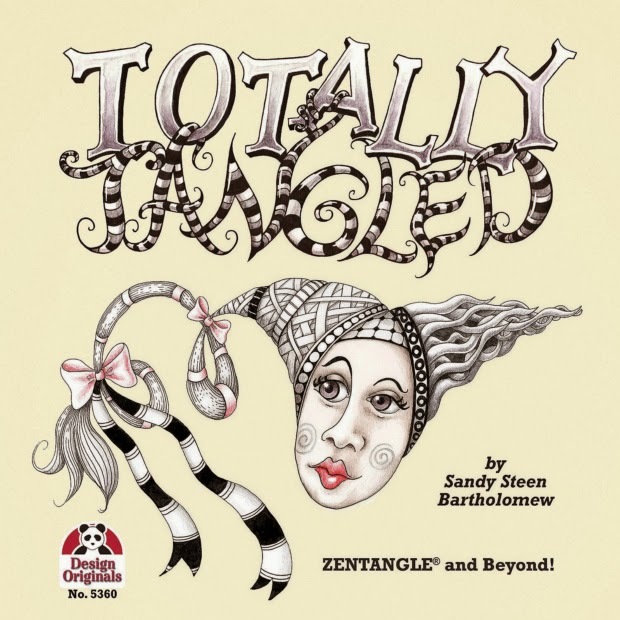 Have you tangled something unusual? We'd all love to see it! I was feeling completely tangled by the time I finished this book. But, it's a bit like having kids, you start to forget the pain and only feel the pride. And I haven't even seen the printed book yet. Which reminds me.... they should be printed the first week or so in April. And Suzanne, from Design Originals, bless her heart, took pity on me and convinced the printer to send me a bunch of books directly. I had been (subtly) whining that the books would be published on the very day I was leaving the country. Besides the fact that I wouldn't be able to send them out to my customers until I returned at the end of April - I wouldn't get to see it either until then! So that means YOU can get your own book soon after I get them!! I've listed them for pre-order on my Etsy store site. I'll take pre-orders up until April 7th or so, then close the shop til I get back. * If you really want one signed, you'd be better to wait until April 29th, when I re-open the Etsy store. There are a few pics on the site, but I'll add more after I get the books. You have to trust me and have tangled faith that you WILL LOVE this BOOK! If you desperately need this book while I am out of earshot (e-mail shot?) you can get one from my real-life store: Wingdoodle. * Since I know you are curious, I am going on an archaeological adventure with my mom, my husband, and my son. My arch. professor from college is leading the tour. We are going to (Paris), Jordan, Israel, Egypt, and Cyprus. Whew! I have always wanted to see Petra in Jordan. Nobody knows what Petra is (unless you are an ancient history nut!) until I say "remember the part in Indiana Jones, (the one with Sean Connery as his dad), where Indie takes the leap of faith? That temple is at Petra. Carved into the rocks. thousands of years old. No one really knows who did it or why. What's not to love? 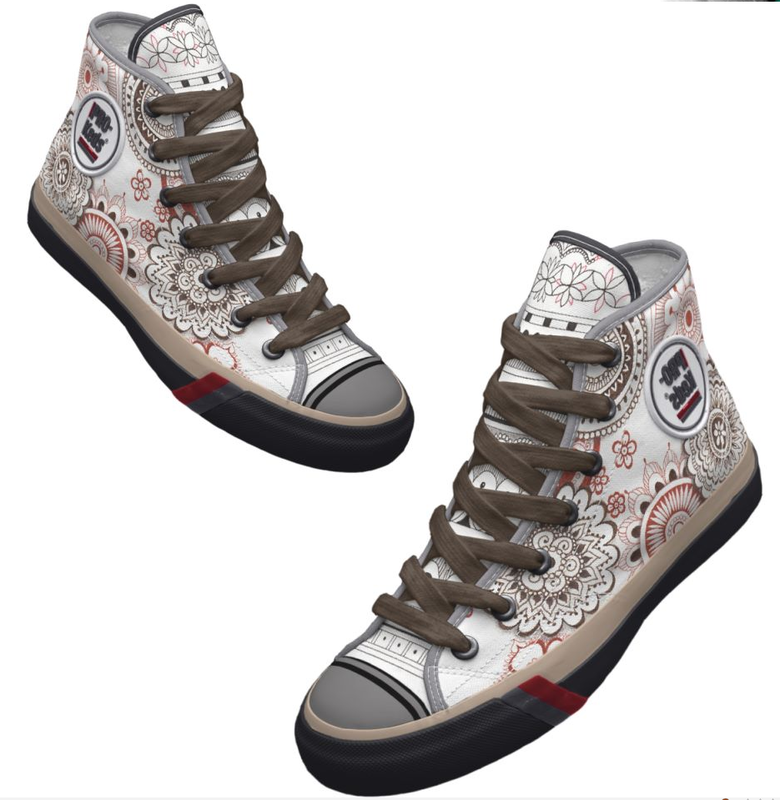 To qualify for this free shipping offer, one or more pairs of Zazzle shoes must be purchased. The coupon code PROKEDZAZZLE must be entered during checkout to receive the offer. The free shipping offer is for economy shipping to U.S. addresses only. Shipping charges will apply to oversized orders and orders being shipped on an expedited basis or outside the U.S. Offer is valid from February 25, 2010 through March 31, 2010 at 11:59pm PT. Your order must be placed during that time to qualify for this special offer. This promotional offer may not be combined with any other Zazzle promotional or discount offers. Offer valid on Zazzle.com only. This week's Tangle comes from THE BOOK. Flutter Tile is a great grid pattern with a lot of room for variations. I'd love to see what you do with it! The WCANH Round-Robin Challenge is almost finished. I haven't gotten my own book back yet (it's been a whole year since I've seen it!! ), but I just finished my last two books. The first of them had a string that was kind of like a "W" with a rounded section in the middle. So I reflected the W on the 1st and 3rd page, and reflected the W - up and down- on the center page. As you see, I used Flutter Tile for the background. This tangle takes... rather a while... to fill in all the black spaces. So I don't recommend it to the very impatient tangler! 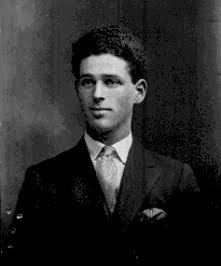 My grandfather, Manny Steen, came to the US from Ireland when he was 19 years old. He is the voice of Ireland at Ellis Island and his story is part of a Broadway play. He died about 12 years ago, but he lives on forever in literature! Whoohoo! (imagine fireworks and confetti falling!) I would have posted a bit earlier, but I got a little distracted by the winners' websites! Figures that two are outside the US, but, luckily, the AlphaTangle books are not big and heavy. So, let's meet our lucky winners. 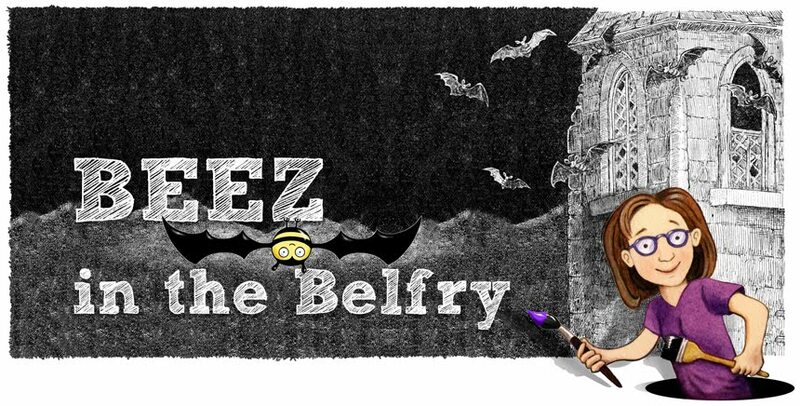 Mary Elizabeth is a CZT from Northern California (yes, she teaches Zentangle! Anyone in N. CA?) 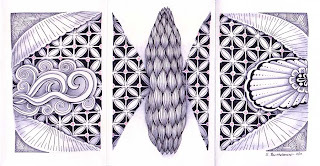 on her blog, Zentangle Fun with Mary Elizabeth, she has a bunch of beautiful Zentangle tiles, but a recent post shows gorgeous door knobs and handles. A great idea - I'd like to see those on Etsy! Next is Sarah (bubblemunch) from York in the UK. On her blog, Sarah's Tentative Artsy Steps, she shows off a variety of art forms, but her specialty is colorful, whimsical flowers done with watercolors. 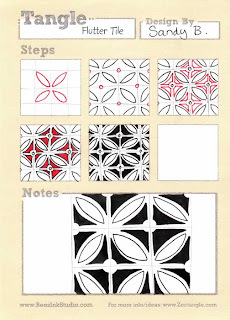 It's no surprise that her Zentangles also incorporate flowers. And then we have Doda, a poet from Scotland. Her blog: Doda's Creative Wanderings, features really clever projects and teeny felt creatures. I am in love with the biscuit bears (I wouldn't eat it - I'd build it a little house and call it George). OK ladies, if you'd like to collect your prizes, just email me at: beezink at tds.net and tell me where you'd like your AlphaTangle book sent. Anyone who is sad and wants their own AlphaTangle book, too, can get one at my Etsy store, Bumblebat. Mention this blog contest when you order and I'll put a "little something" in with your book. OK? 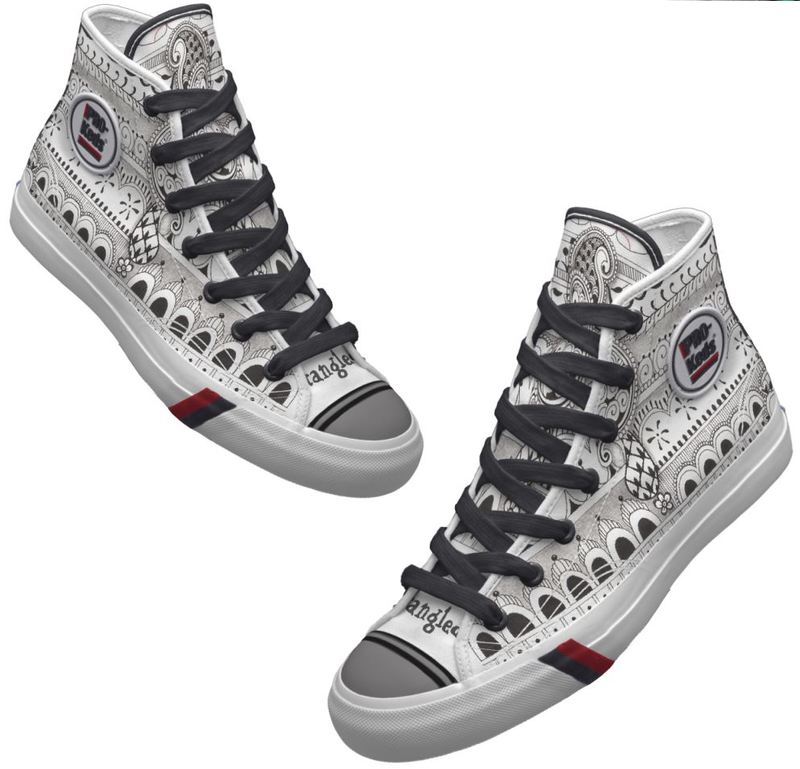 And a question - have you noticed how few men do Zentangle? (I have met the few) And I didn't notice any male followers, but I need to go thru and look more carefully. The actual question here is: what would get men to try Zentangle - why does it seem like a women's thing? When the number of FOLLOWERS reaches 150, I will randomly select 3 people from those teeny little follower avatars - to get their own FREE COPY of my AlphaTangle book! Hmmm. how about a BOOK? 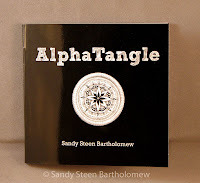 I'm so glad that Zentangle.com has a blog now.. and I received your Alpha Tangle book.. awesome! I would like to know if you or anyone you know will be publishing a book or a publication on all the tangles that have been put out there so far (from the newsletters at the official Zentangle site to the many blogs ... especially yours and Suzanne O'Neill's page and books)... 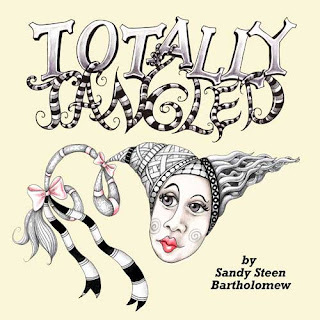 I just would love to see all the tangles in one place in maybe a spiral format, not too large but something larger than your alpha book that can be taken in a purse or a small bag with supplies... I know I don't have time to do a book but I am stumped when doing the Zentangles as to what to do in some of the areas and am not as creative as most.. still have trouble making a straight line! So that's my thought... and I hope someone takes the idea and runs with it... it would be a super duper best seller... if only I didn't have so many kids and schedules! hehe... Hugs to you! Well, Rose I can't fill ALL your requirements... but how about a book that is 8.5" square and has over 100 NEW tangles- with directions for each one? Fifty-two pages filled with instructions, tips, lots of inspiring art (no, it's not all mine! 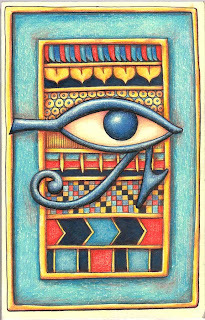 ), a gallery and artist and resource links? Oh, and under 20 bucks? Pretty good? 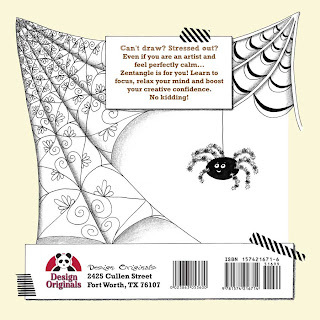 I sent it off to Design Originals today. Yes, I know there will be some editing and changes that need to be made, but it feels so good to be finished! I am really proud of it and very excited. It should be available in May. And, no, I am not taking pre-orders! But I promise to let you know as SOON as it is available. We'll do a contest or something. Leave a comment if you have a good idea for a contest!